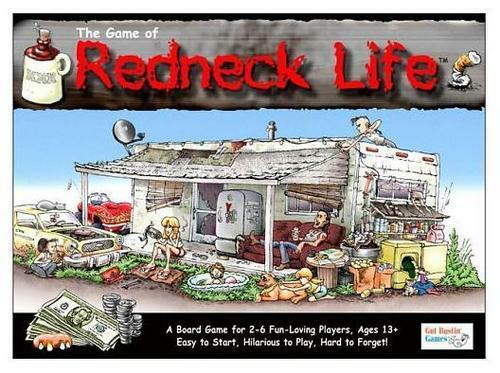 Redneck Life went "redneckin" in Spokane! Sunday evening we made a quick trip to Spokane, Washington to celebrate Ron's Mom's birthday. While there we found time and a cool place outside for a game of Redneck Life with family before the birthday festivities. Sharon and Larry join us in this hilarious game. Above, Sharon draws a "Go Redneckin" card that read "Spud cannon misfires at county fair. Lose a tooth." Below, I think Larry's going to choose the Honey Bucket Bungalow. 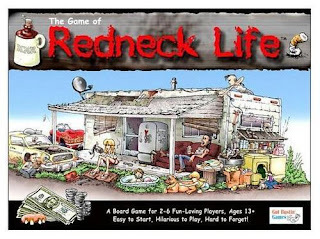 To learn more about Redneck Life click here Redneck Life Gut Bustin Games where you can read our Game Profile.